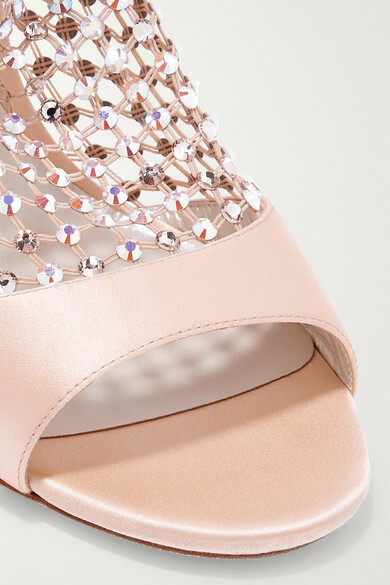 René Caovilla's 'Galaxia' sandals are designed to look like you're wearing glittered socks. Set on a thin stiletto heel, this satin pair has a mesh panel that’s decorated with iridescent blue crystals. Style yours with a neutral or pink pedicure.